The PHA Group’s Technology & Innovation team is delighted to have its work recognised in this year’s B2B Marketing Awards – shortlisted for ‘PR Campaign of the Year’. The Smarter Working Initiative (SWI), which the T&I team first developed in 2016 with long-standing client Powwownow, has been listed alongside eight other PR campaigns, with the winner due to be announced at a gala dinner on 23rd November. The T&I team worked closely with Powowwnow to develop the inaugural campaign designed to have significant longevity. The brief was to challenge existing perceptions of flexible working and promote the benefits of embracing a working culture that aligns with employees’ personal lives. As a business with a core ethos of efficiency, productivity, and collaboration, Powwownow’s objective in 2016 was to increase awareness of the benefits of smarter working among UK business leaders and employers. Aware that only 6% of UK businesses proactively offered flexible working to their employees, the team set out to fundamentally change how employers think about smarter working practices. The SWI was foremost an awareness day: Monday 25th July 2016 – the first day of the school summer holidays. A supporting integrated PR strategy, combining cut-through thought leadership content, data stories, news agenda hijacking and relevant and insightful broadcast interviews for members of the senior management team, helped position Powwownow as a leading authority on smarter working across a range of business sectors. In the build-up to and following Monday 25th July, the team achieved over 30 pieces of media coverage, reaching a significant business audience across the UK and Europe. 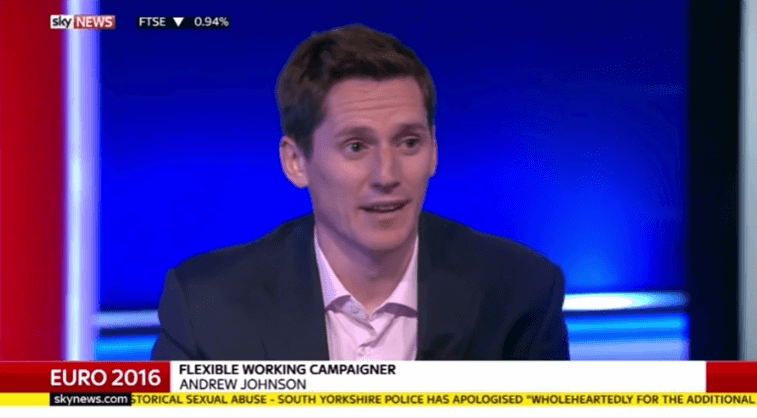 MD Jason Downes and FD Andrew Johnson appeared on BBC News ‘Business Live’, Sky News, London Live, talkRadio and Share Radio discussing topics including business efficiency and the rise of technology to facilitate flexible working. The team’s efforts saw Powwownow more than double their initial target of business sign-ups by securing over 120 businesses, including leading UK employers such as Purplebricks.com, RED Driving School and Orebar Brown. Over 100,000 UK employees worked flexibly on the day thanks to the initiative. The SWI received prominent coverage across online and traditional media. Online, we reached business leaders through thought leadership pieces for MD Jason Downes, CTO Chris Martin and FD Andrew Johnson in a variety of publications including Virgin.com and Real Business. Targeting employees, the team also secured press on consumer-led websites such as Metro and Marie Claire, using unique data stories supported by thought leadership. The initiative was also covered nationally in The Telegraph and The Sun, with a prominent photo story in the latter reporting the social media campaign which ran over the course of a week. Not only did the SWI reach a far wider audience than originally anticipated, it established positive brand awareness and positively changed assumptions about flexible working. After the initiative, 78 percent of business owners who did not previously offer flexible working to their employees said they would do so in 2017 and beyond – a tangible change in attitudes towards smarter working. 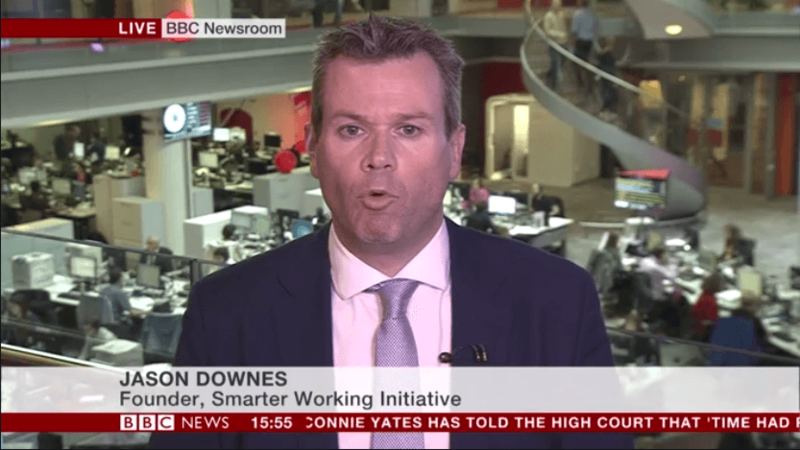 Most importantly, Powwownow were delighted with the campaign and last month the Tech & Innovation team oversaw the SWI 2017, which saw over 200,000 employees from over 200 businesses work flexibly on Monday 24th July, resulting in MD Jason Downes appearing on BBC News.